New Testament Survey courses cover vital information regarding the birth and ministry of Jesus, the ministry of the disciples, the background and context of the New Testament books, and the growth of the early church. 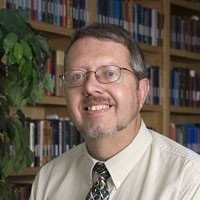 Dr. Craig Blomberg uses scripture as the primary focus of these studies, while also providing an important backdrop of relevant cultural, geographical, linguistic, and historical contexts in which the New Testament documents were written. Lesson 1: What Are We Going To Do with the New Testament? This introduces students to the Gospels as literature and then focuses in on the Gospels of Matthew and Mark. Students will study the specific purposes of each book and how the writers told the account of Jesus’ life to accomplish their unique goals. This course presents both basic and essential details for an accurate understanding of New Testament Scriptures. Organized in a three lesson format, the course provides guided content outlines, audio-visual lecture presentations, and quizzing modules. Lesson 1: Is the New Testament Really the New Testament? This provides two different renditions of Jesus’ life and ministry. Adding the perspectives of Luke and John to those given by Matthew and Mark will provide additional detail and explanation to the incredible life of Jesus Christ, the Lamb of God. Lesson 3: Can We Trust the New Testament Books? This course will survey the Judean phase of Jesus’ ministry and give insight into His teachings and actions that increased the Jewish opposition to the point where they would turn one of their own countrymen over to the Romans for crucifixion. Most people recognize the fact that the crucifixion and resurrection of Jesus Christ was the turning point of world history. After His resurrection and ascension, His disciples spread His Church across the Roman Empire and changed the world. This course will add depth to the student’s understanding and appreciation of these world-changing and individual life-changing events. This course presents both basic and essential details for an accurate understanding of New Testament Scriptures. Organized in a four lesson format, the course provides guided content outlines, audio-visual lecture presentations, and quizzing modules. The New Testament epistles to the Galatians and Thessalonians are Paul’s earliest preserved letters. In them, he began to lay a theological and behavioral foundation for Christian belief and conduct. This course surveys these early writings. The people who came to Christ and formed the Corinthian church brought a wagon-load of philosophical, religious, and moral baggage with them that made this a tough church. The two letters we have from Paul to the Corinthians deal with some of the most thorny spiritual and moral issues addressed anywhere in the Bible. This course contains essential help for the Church in any age. Although Paul hadn’t yet visited there when he wrote his epistle to the Christians at Rome, he wanted to make certain they were clear on what the Gospel really was. In the Roman epistle, we have Paul’s great theological statement on God’s salvation. Later, Paul was imprisoned in Rome while waiting for his trial before Caesar. While there, he wrote four letters. In this course we study the letters Paul wrote both to and from Rome. Unlike Paul’s epistles, the general epistles were not addressed to a particular city or person. These letters deal more with the broader topics of suffering and the dangers of false teachings and unbelief among Christians. This course covers these epistles. This course we look at how the New Testament and the Bible culminate with the glorious description of the Revelation of Jesus Christ. All of history’s events are culminated in this fantastic story of Christ’s ultimate triumph over evil and the restoration of all things to their created design. Lesson 1: Revelation - What is the Book of Revelation and What's it About?